Opening with the title track you hear the RavenEye transformation of Oli Brown. The guitar playing is still full of passion and style but now has a full-on heavier rock sound that cascades out of the speaker the music really is Breaking Out from any constraining mould. It is a track that has redefined Oli, a young multi award-winning guitarist known for the blues. The drumming drives the groove via Kev Hickman’s sticks which when combined with Aaron Spiers bass you get the throbbing backdrop that allows Oli’s vocals to fly to the ceiling so that the sound fills every crevice of the space available. This is deep down and dirty with enough effects to add interest and another tonal structure but not to destroy the shape of the music and the star of Hey Hey Yeah is Oli’s vocals they fly off the tongue that pulls you into the song and then the little guitar breaks with licks and hooks for the lyrics that make the mouth water with delight, this is a track full of excitement and urgency you just want it to go on and on; but no it stops and there is silence’; until the speaker lights up with the next storming track. Closing with You Got It, the pace slows down but the sound the trio is creating is enough to fill any arena this is a band that are set to create music that brings out the depth and skills of all the instruments. There is a balance and at times less is more as the number of notes are kept simply that is unusually in many a rock number; the tracks are all the better for it as it enables changes of tempo and emphasis mid-track as on You Got It. If you have heard of Oli Brown, do not expect blues this is rock that has the shadow of blues entwined within its structure but Oli, Kev & Aaron are rocking the cobwebs away with a very stylish vibe. This five-track E.P. 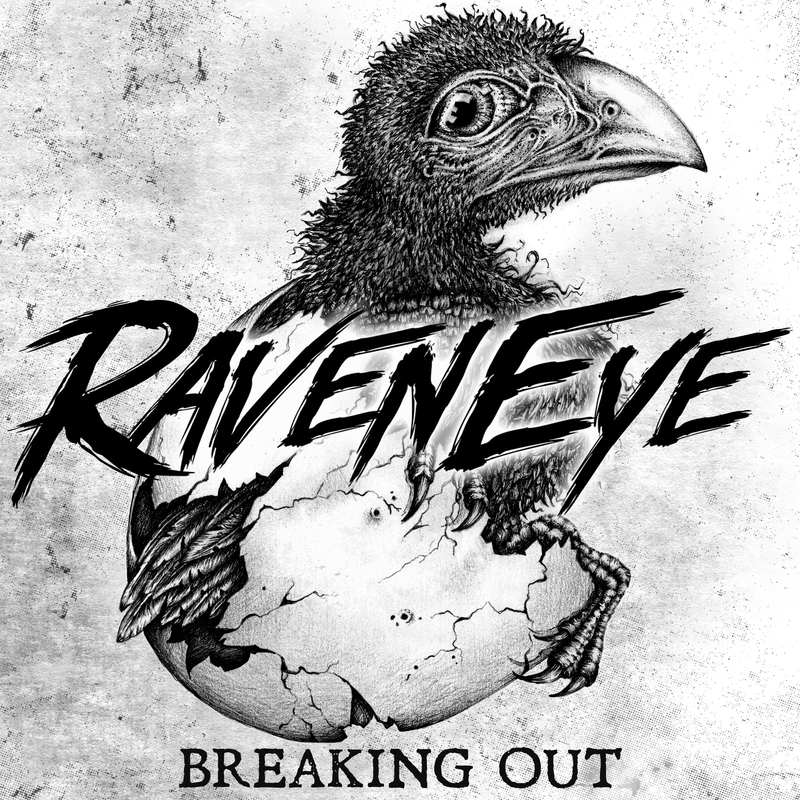 makes you want to hear more, now your rock music soul demands to hear more; get that album and keep on touring as RavenEye have encapsulated the live sound in the studio, the raw energy and controlled power combine to produce a classy E.P. we like the new darker Oli and RavenEye. If this was a full album would definitely be 10; but this is an E.P. and definitely work in progress of a new band with all the potential to hit the top.